I. Location • 1. Absolute Location: Between latitudes 1º 09´N and 1º 29´N and longitudes 103º 36´E and 104º 25´E • 2. 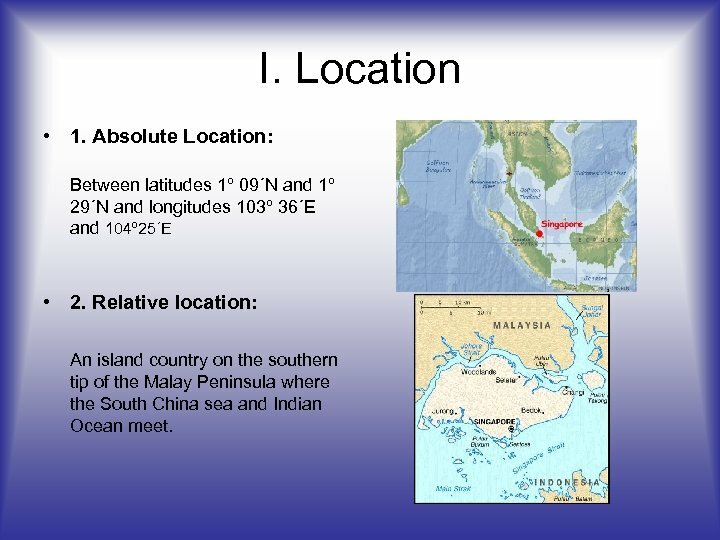 Relative location: An island country on the southern tip of the Malay Peninsula where the South China sea and Indian Ocean meet. III. 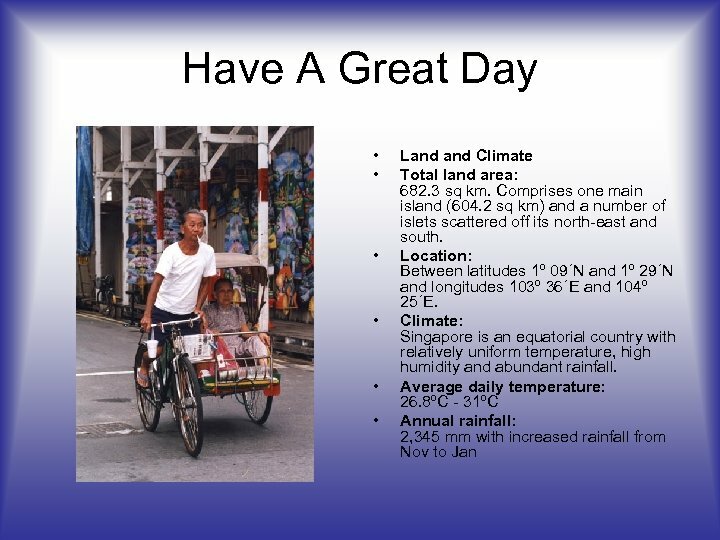 Human/ Environment Interaction 1. 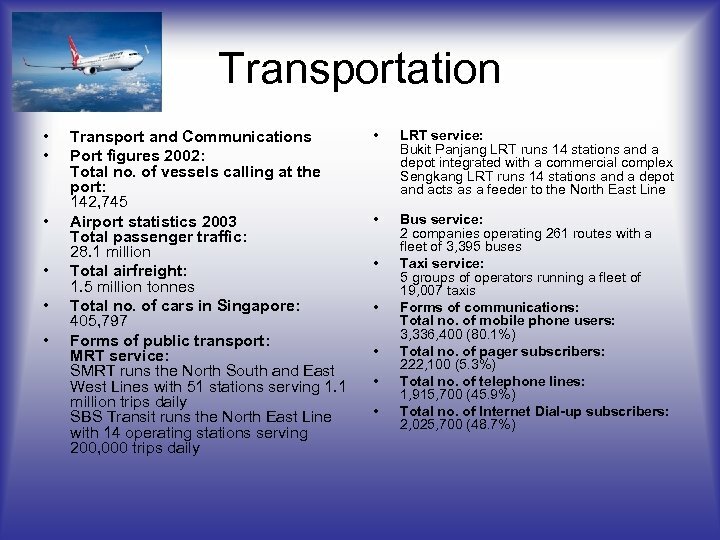 Singapore is an island, thus the people have built bridges to mainland Malaysia and carved out a harbor out of parts of it’s coastline to accommodate it’s busy ocean traffic 2. 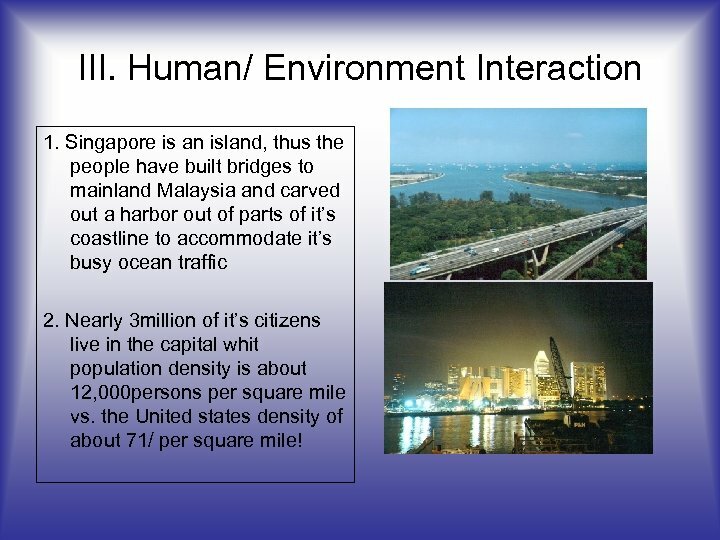 Nearly 3 million of it’s citizens live in the capital whit population density is about 12, 000 persons per square mile vs. the United states density of about 71/ per square mile! IV. 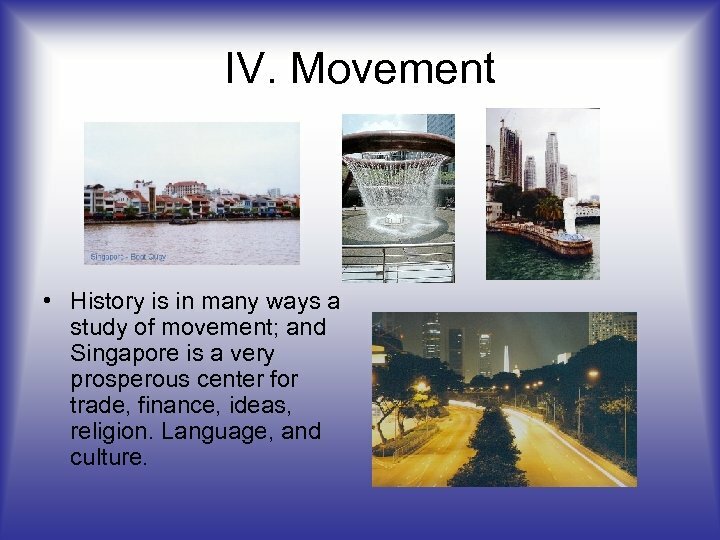 Movement • History is in many ways a study of movement; and Singapore is a very prosperous center for trade, finance, ideas, religion. 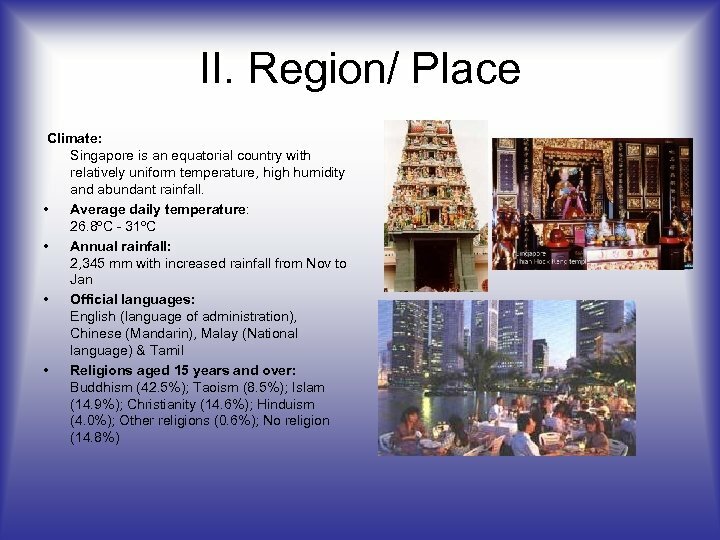 Language, and culture. 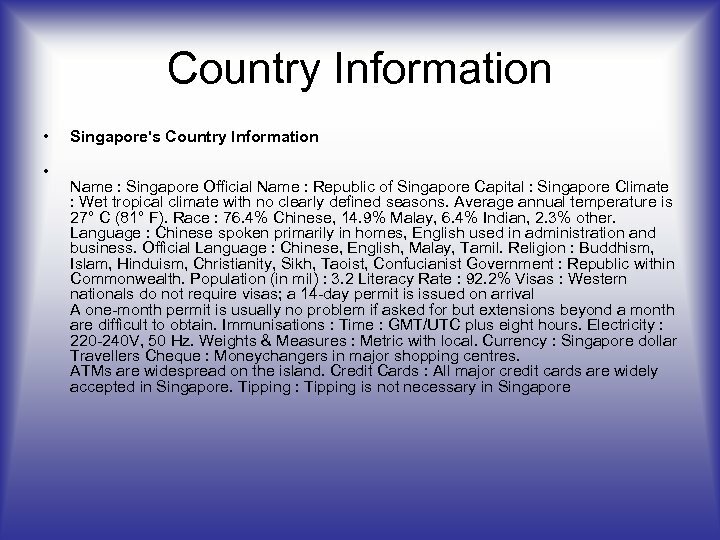 Education • • • Education General literacy rate (15 years and over): 93. 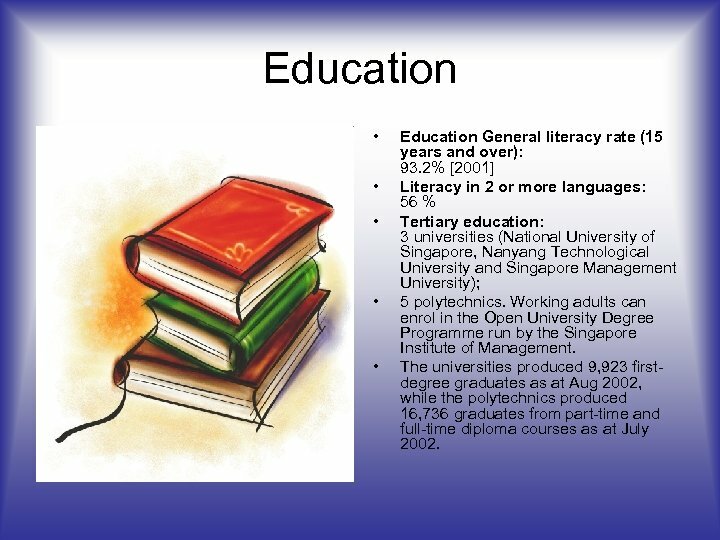 2%  Literacy in 2 or more languages: 56 % Tertiary education: 3 universities (National University of Singapore, Nanyang Technological University and Singapore Management University); 5 polytechnics. 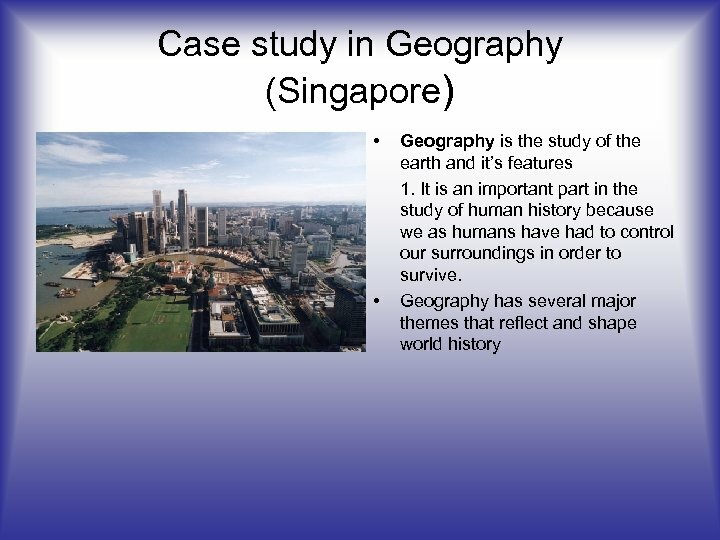 Working adults can enrol in the Open University Degree Programme run by the Singapore Institute of Management. 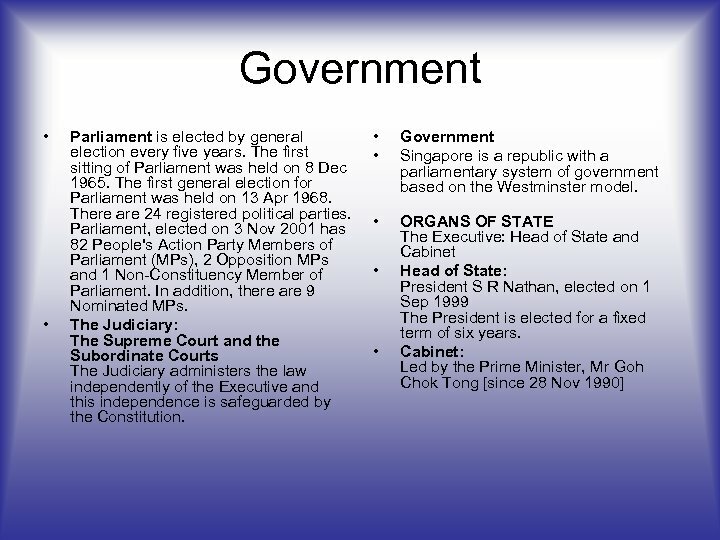 The universities produced 9, 923 firstdegree graduates as at Aug 2002, while the polytechnics produced 16, 736 graduates from part-time and full-time diploma courses as at July 2002. 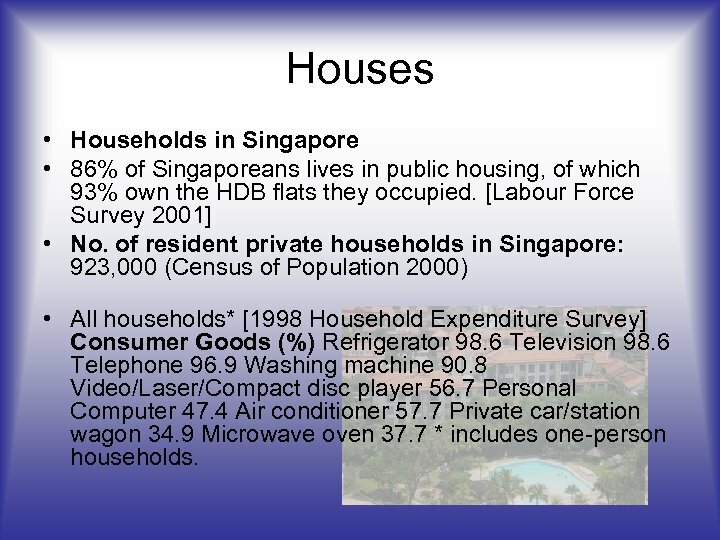 Houses • Households in Singapore • 86% of Singaporeans lives in public housing, of which 93% own the HDB flats they occupied. [Labour Force Survey 2001] • No. 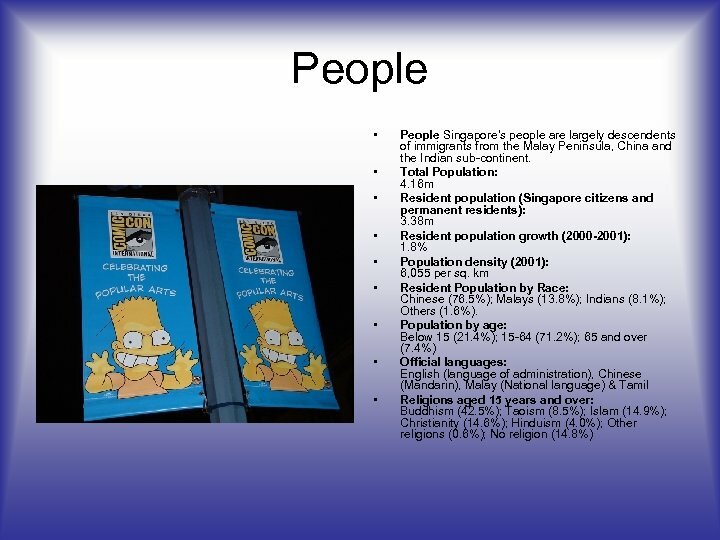 of resident private households in Singapore: 923, 000 (Census of Population 2000) • All households* [1998 Household Expenditure Survey] Consumer Goods (%) Refrigerator 98. 6 Television 98. 6 Telephone 96. 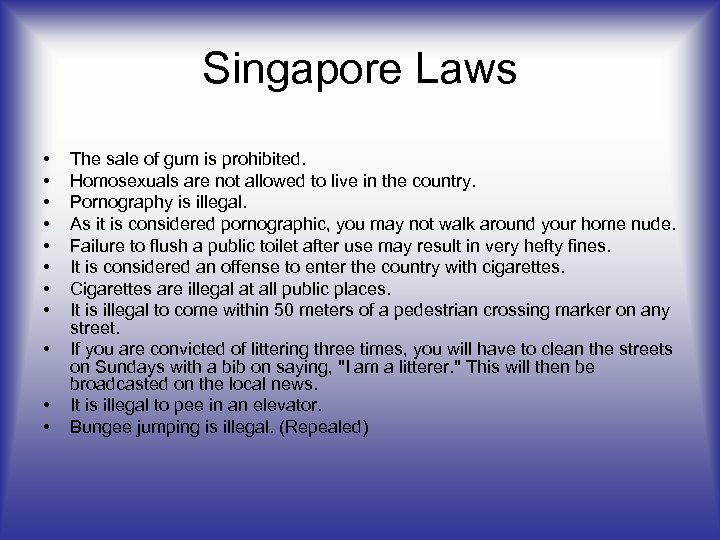 9 Washing machine 90. 8 Video/Laser/Compact disc player 56. 7 Personal Computer 47. 4 Air conditioner 57. 7 Private car/station wagon 34. 9 Microwave oven 37. 7 * includes one-person households.